On May 1, 2018, Catholic Book published the Misal Romano, the first Spanish language translation of the Roman Missal approved for use in the United States by the USCCB and confirmed by the Apostolic See. With the beginning of the 2019 Liturgical Year on December 2, 2018, came the mandatory implementation date of the Misal Romano. Catholic Book offers the Misal Romano in two editions. 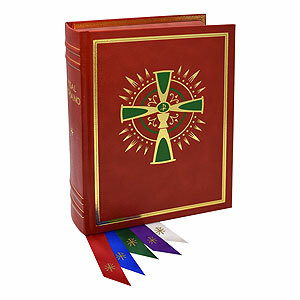 Staying true to our commitment of more than 107 years of publishing excellence, our editions of the Misal Romano are formatted nearly page for page as our editions of the Roman Missal. 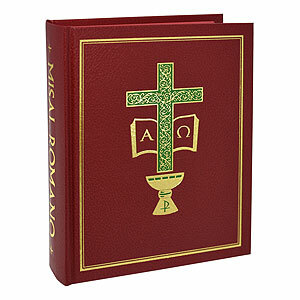 Users of our Roman Missal feel at home with the familiar typesetting and layout. Each beautiful book features 43 attached durable and functional tabs to facilitate use by the celebrant.